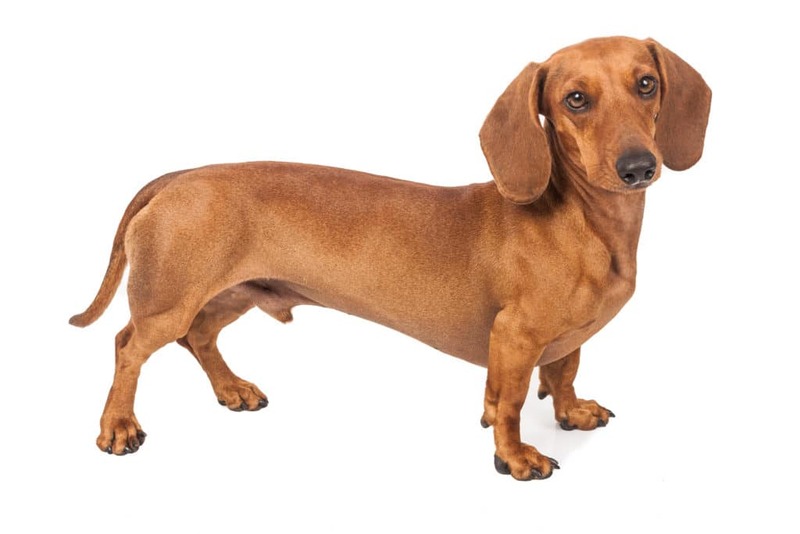 The dachshund also known as the sausage dog or wiener dog) is a short-legged, long-bodied, hound-type dog breed. The standard size dachshund was developed to scent, chase, and flush out badgers and other burrow-dwelling animals, while the miniature dachshund was bred to hunt smaller prey such as rabbits. In the United States, they have also been used to track wounded deer and hunt prairie dogs. Dachshunds also participate in conformation shows, field trials and many other events organized through pure-bred dog organizations such as the American Kennel Club (AKC). 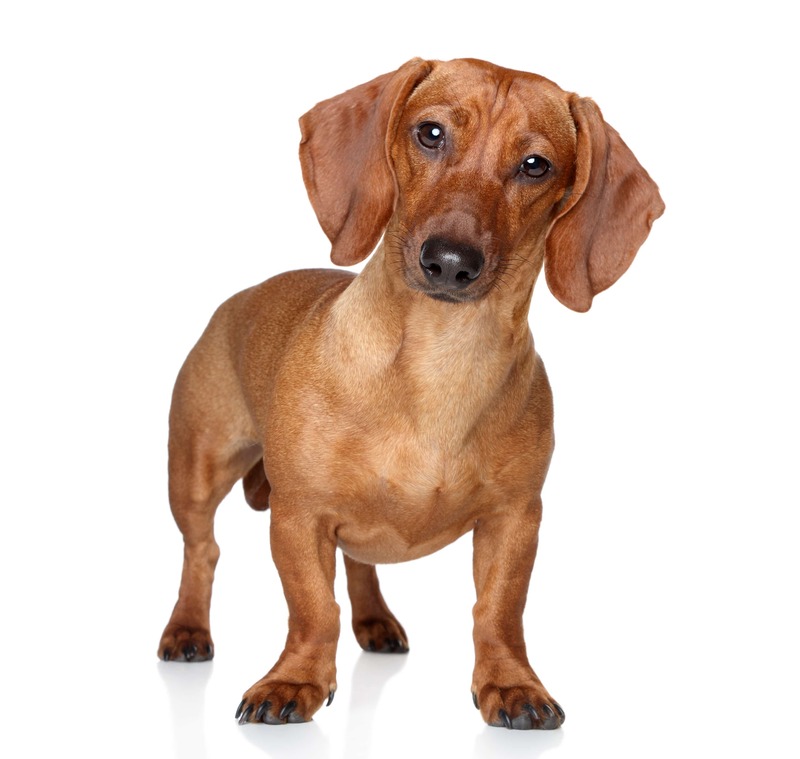 According to the AKC, the dachshund is ranked in 13th place in popularity amongst dog breeds in the United States. While classified in the hound group or scent hound group in the United States and Great Britain, the breed has its own group in the countries which belong to the Fédération Cynologique Internationale (World Canine Federation). Many dachshunds, especially the wire-haired subtype, may exhibit behavior and appearance that are similar to that of the terrier group of dogs. A typical dachshund is long-bodied and muscular with short stubby legs. Its front paws are disproportionately large, being paddle-shaped and particularly suitable for digging. Its skin is loose enough not to tear while tunneling in tight burrows to chase prey. Dachshunds come in three sizes: standard, miniature, and kaninchen (German for “rabbit”). Although the standard and miniature sizes are recognized almost universally, the rabbit size is not recognized by clubs in the United States and the United Kingdom. Dachshunds are playful, but as hunting dogs can be quite stubborn, and are known for their propensity for chasing small animals, birds, and tennis balls with great determination and ferocity. Many dachshunds are stubborn, making them a challenge to train. 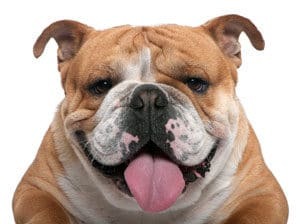 What Does Your Dog Breed Say About You? By Nicole Pajer From a Chihuahua to a Great Dane, dogs come in all sorts of shapes and sizes and display an array of temperaments. Copyright 2018 Cesar’s Way. All rights reserved.